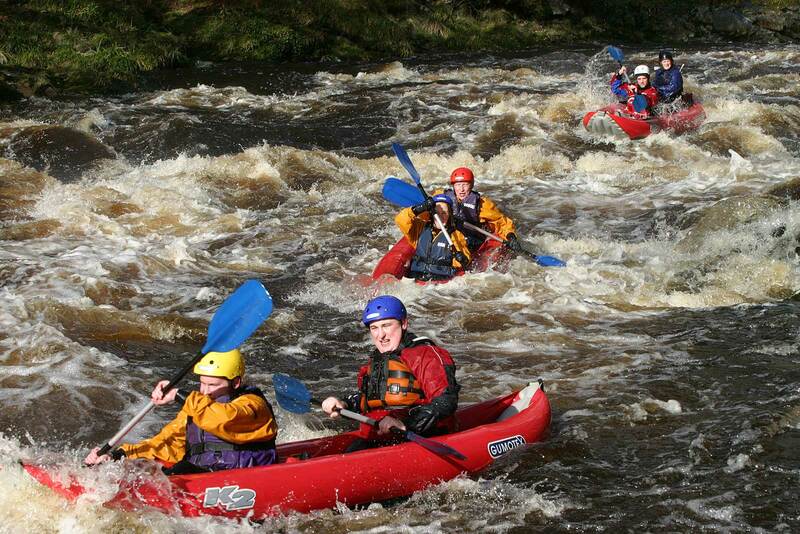 The River Dart, runs through our grounds making us the perfect location for the ultimate whitewater experience. Price:£100 (2 people). £180 (4 people). Running during winter months only from October 1st to March 14th. At CRS Adventures we use two person Rafts that are also known as duckies, these are a great way to explore the river. It is two people per boat and you are in charge of the power and the steering. 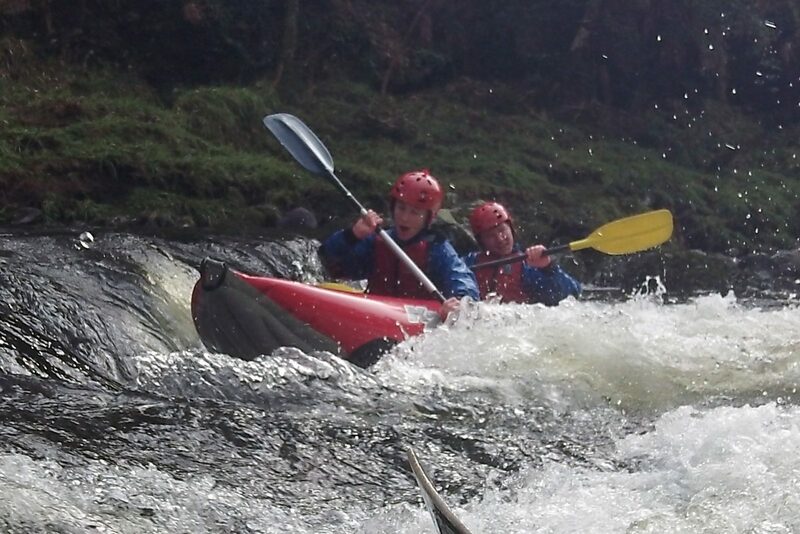 You will have safety kayakers with you to show you the correct way and to pick up any one who fancies a swim! The River Dart has several sections of varying difficulty so it is possible for us to run rafting trips for different types of group. Participants need to be competent swimmers with good mobility and a reasonable level of fitness. We meet all rafting groups at The River Dart Country Park and equip participants with the necessary safety equipment before heading to the put-in for the section of river that we will be tackling. 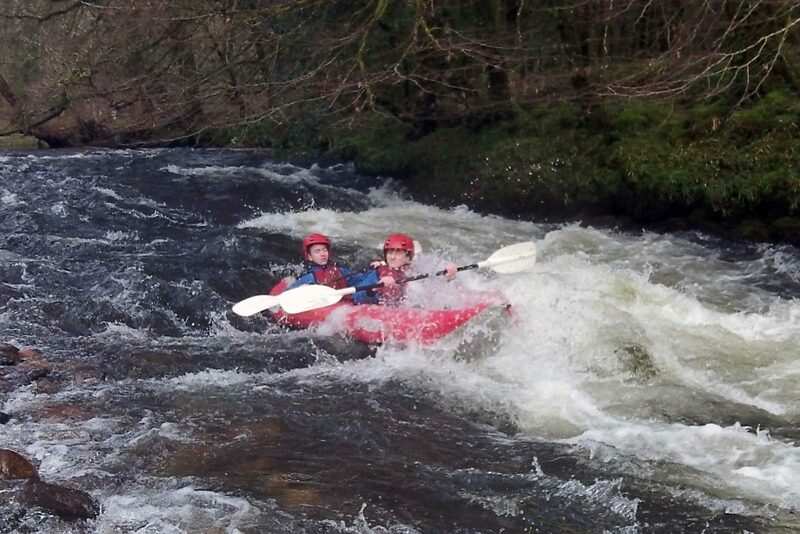 One of the Meccas of UK whitewater kayaking, the River Dart, runs through our grounds making us the perfect location for the ultimate whitewater experience. 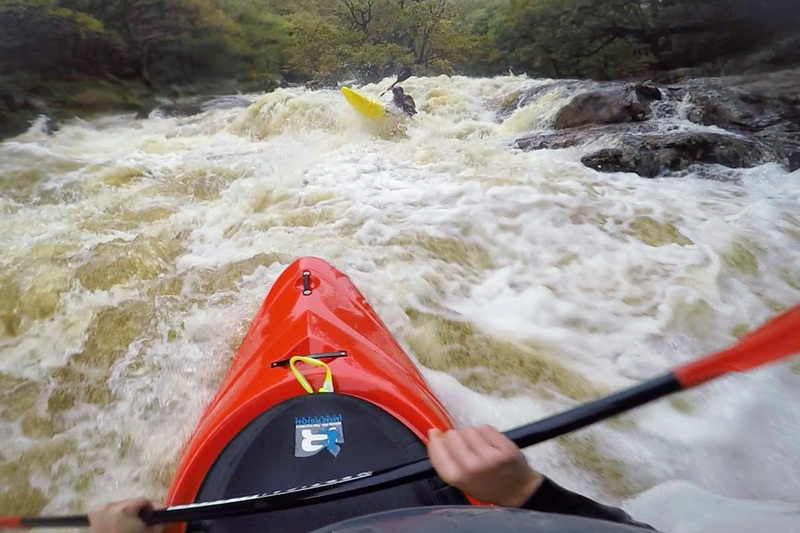 Not many people realise that it is possible to do whitewater Duckies in Devon, or that the county is incredibly popular within the paddlesport community for its steep granite rivers running off Dartmoor with their challenging rapids. Unfortunately due to the archaic access laws in this country the river is only open to kayakers during the closed fishing season from October until the end of March. For larger groups please call to enquire. The River Dart is a naturally fed river running off the high moor and as such the water level fluctuates enormously depending on how much it has been raining, and how wet the moor is. Therefore when booking in advance please be flexible with dates as the suitability of the water level on any given day is out of our hands! If unsuitable water levels mean that we have to cancel your trip then we will offer you the choice of an alternative activity or a new date. The price for two people duckies is £100, for four people is £180 – you have to fill the spaces or still pay the amount for four persons. So, if you want to tackle the white water of the River Dart you should get your family, friends and colleagues signed up! We offer morning or afternoon sessions. A morning session starts at 9am and finishes at approx 12.30pm, an afternoon session starts at 1pm and finishes at approx 4.30pm. What We Provide Wetsuit. Rafting Equipment. Safety Equipment. What To Wear Swimwear. Thermal Layer / Fleece. Old Trainers. What Not To Wear T-Shirts. Crocs. Slip-on Shoes. Words cannot describe the thrill. Thank you guys for a brilliant company day out. Some of the guys were a bit nervous when they saw the size of the River but your staff were as capable and reassuring as ever.